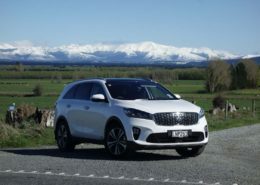 Stepping from a Kia Stinger GT into a Multivan was quite a change. Even more so given the fact I’ve been driving a ŠKODA Octavia RS 245 in-between those two. But my team needed the Octavia as a show car for the Miles Continental Le Race, so I was given a choice of vehicles for the weekend. The boss was surprised that I chose a Multivan instead of the Tiguan R-Line that was available, but I’ve driven the Allspace a fair bit and I’m all about gaining a boarder driving experience. 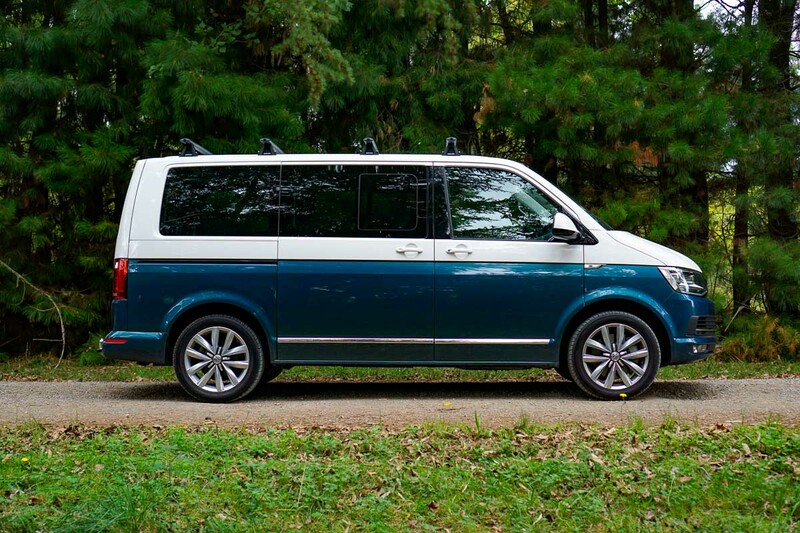 Not to mention that the Multivan was a special two-tone Highline model which looks rather sharp in blue and white. 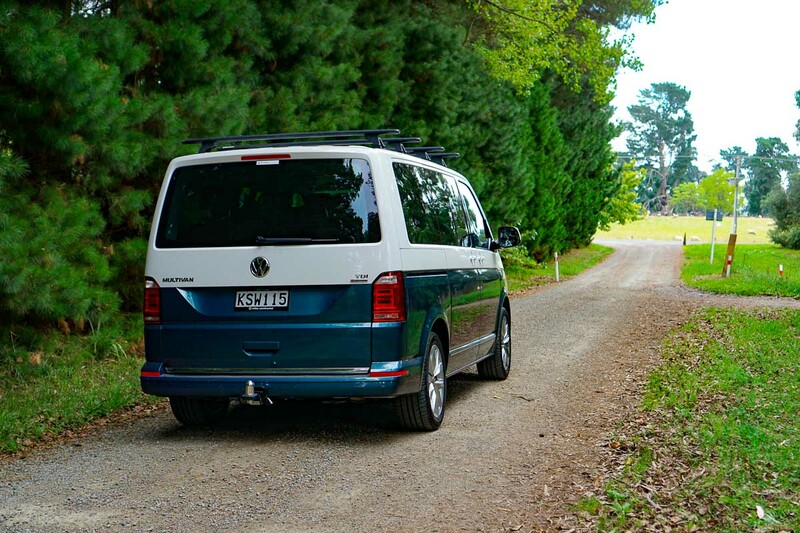 The Multivan has seen a few limited edition variations of late. 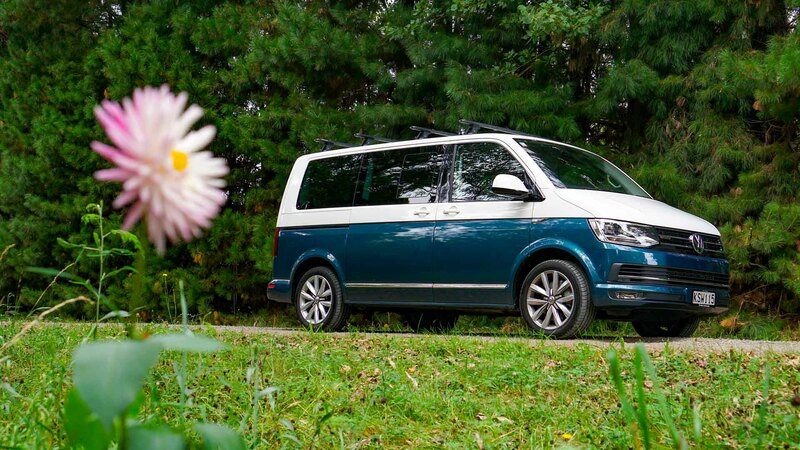 The Kombi 70 was a nod to the classic Kombi, while the California Ocean is a true premium campervan that looks similar to this Multivan from the outside but has a host of impressive ‘bed, bath and beyond’ interior features. The biggest difference being that the California Ocean basically has a kitchen while the Multivan is more focused on transporting multiple passengers. Still, limited edition or not, the paint job on this particular model looks sensational. 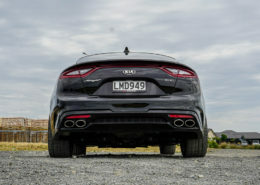 It adds a ‘Kiwi-esque’ vibe that you don’t get from the more businesslike grey models. 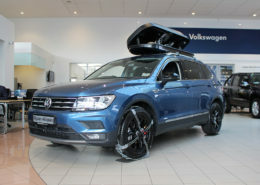 Under the bonnet is a 2.0L twin turbo diesel engine delivering 150kW of power and 450Nm of torque to Volkswagen’s impressive 4MOTION advanced four-wheel-drive system. All with the help of 7-speed DSG automatic transmission. Off the ship, it’ll set you back $102,000 MRP (Maximum Retail Price), but this one had 19,000km on the clock so has a $75,000 price tag. 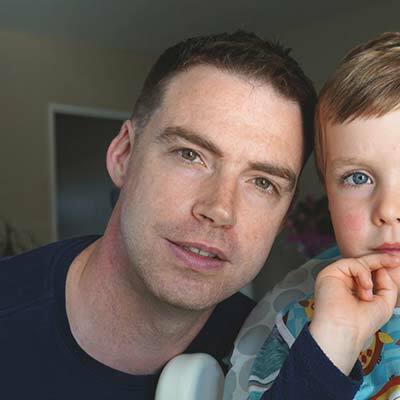 It was a huge novelty to be in a 7 seater with so much space; something that I first really appreciated when installing my son’s car seat without breaking my back and instead facing the seat with a huge amount of space to move around in. The rear 5 passengers are set with seats that slide and swivel, allowing all passengers to face forwards or the middle two to face the rear. The latter combination allows for plenty of socialising, all helped with the addition of a genius table central compartment/table arrangement. This table also slides on similar rails to the seats and so can be positioned wherever you like; right in front of the rear seats, in the middle where everyone can reach, or directly between the middle two seats. The tabletop lifts from the base at the touch of a button before spinning around and folding out. 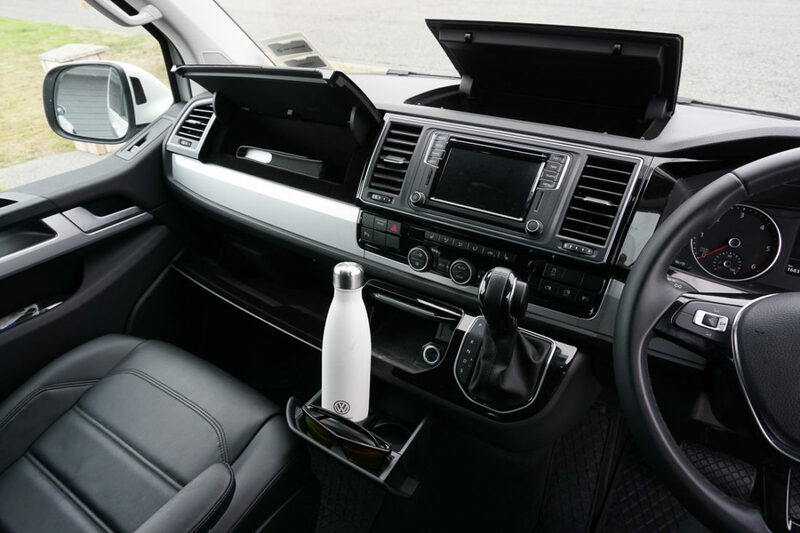 A hidden compartment is revealed in doing so, with magazine racks either side and cup holders at either end. 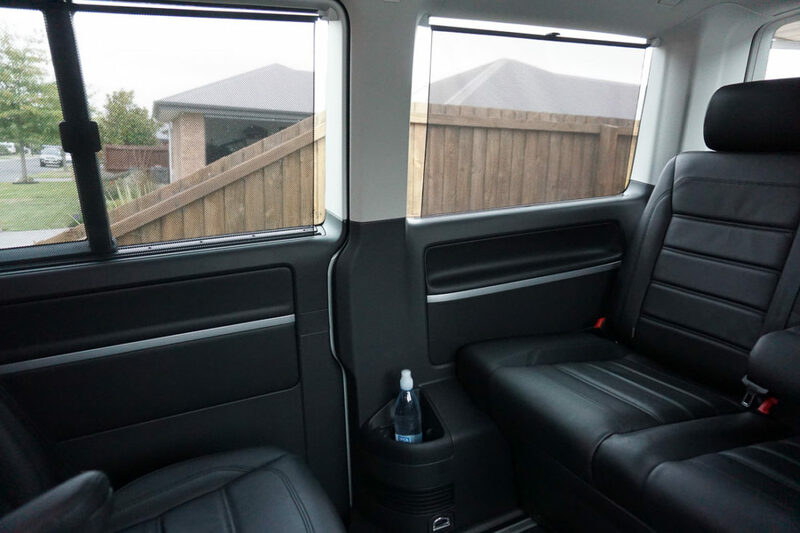 The rear windows all have very handy pull-up blinds (which can be left in their ‘up’ position while the window is open, unlike stick-on window shades) and the climate control features in the rear are also impressive. Don’t quote me on this but I think there’s a configuration where all seats fold flat and – I’m assuming – you can lay a mattress on top. As it was a Highline model, all seats were coated in luxurious Nappa leather. 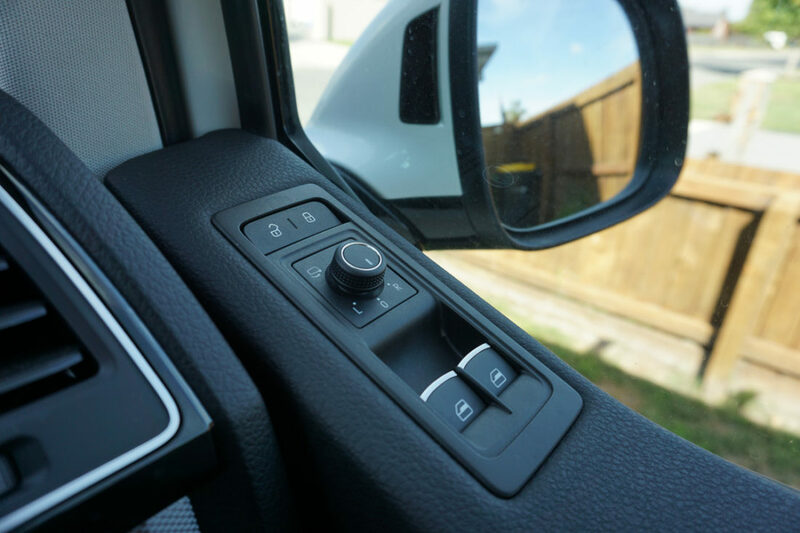 The rear doors (one on each side) slide electronically and can be closed and opened using the remote key fob. There’s Apple CarPlay/Android Auto for the best possible navigation and voice recognition features, heated and electronic seats upfront, sharp LED headlights and tail lights, and you even get a cooler/warmer box in the boot. 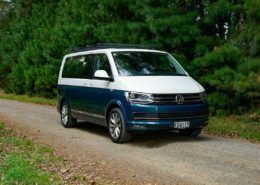 Driving the Multivan was quite a novelty, and given that you can remove the rear seats entirely and have yourself a proper van, it’s insanely practical. 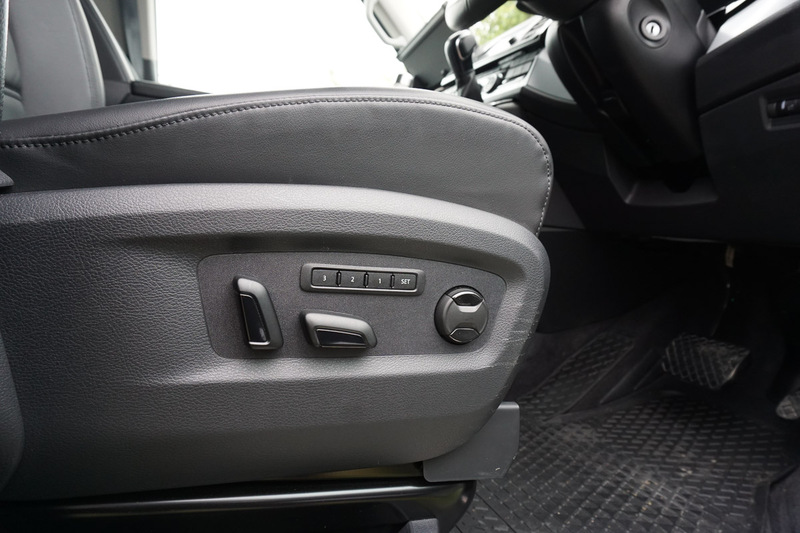 Actually… I just Googled that to make sure you could fully remove the seats just in case, and I came across this great video which shows off the rear seat rail system really well. Speaking of videos, I put my own quick video/montage together to show more of this particular vehicle. Take a look as it’s a much nicer interior than the video above. Just excuse my slightly chaotic video style. 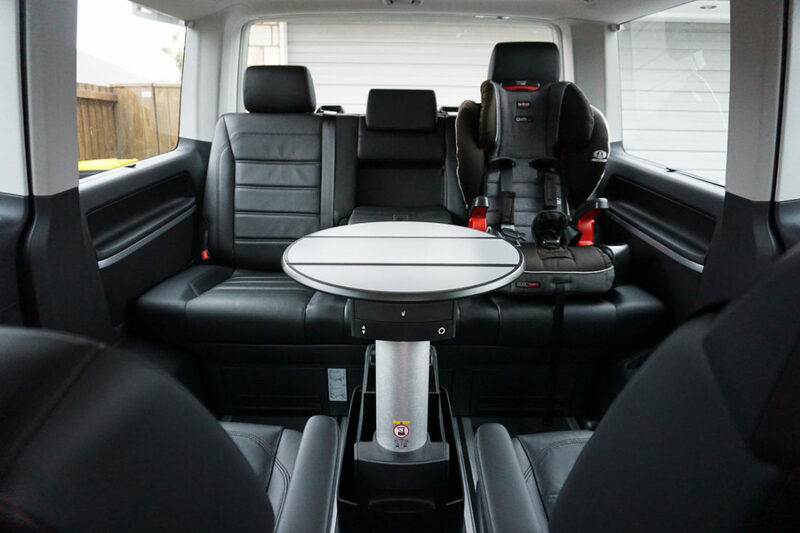 It’s hard to demonstrate a folding table when you’re holding a camera in one hand, and I would have taken longer but my son was amping to go for a drive (in which he fell asleep after ten minutes but I’ll put that down to the Multivan’s awesome comfort and smooth handling!). … you’re either in business and want to provide a ‘next-level’ shuttle service for your clients (I’ve been on a few business trips recently and I’ve been in some awful vehicles! 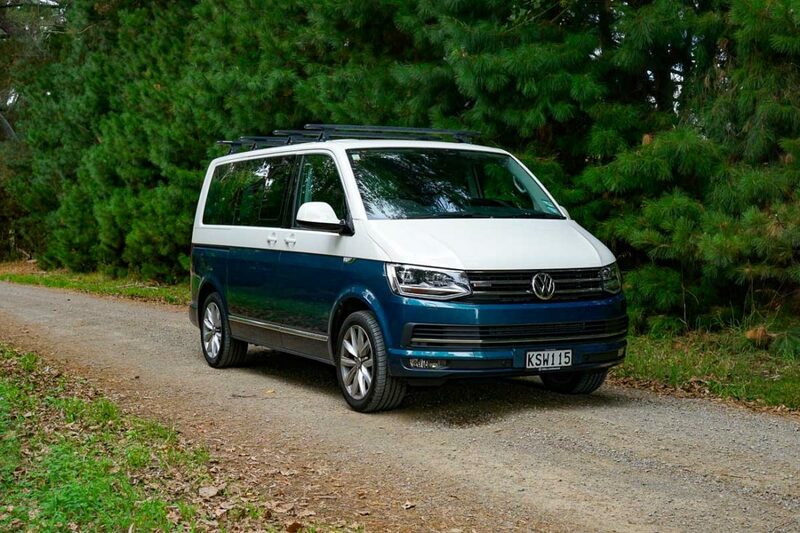 Doesn’t really build an ‘a’ class experience) OR if you’re looking around at 7 seater SUVs but would love something more unique, much more practical, and with huge novelty value… not to mention the sensational road trips you’re going to go on with this thing. Thanks to my employer, Miles Continental, for the ride. Catch up with Mark, AJ, and the team there if you want to check it out for yourself. This post is not a paid-for or sponsored article. I just like to write about the sweet cars I drive in my spare time, and I’d be entirely upfront and honest if I hated something!